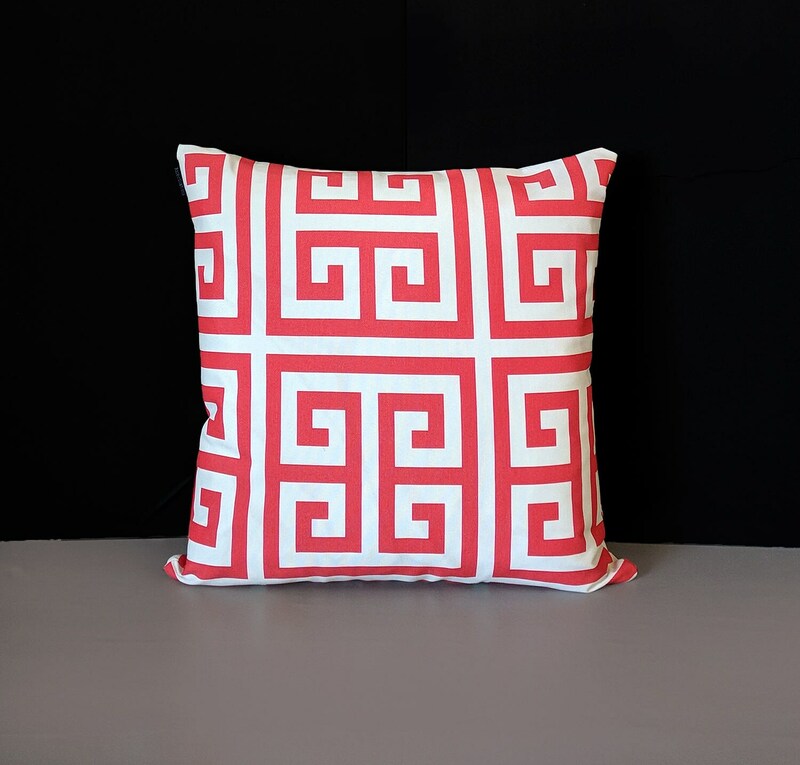 Beautiful outdoor pillow featuring a greek print in bright red! Same fabric both sides. Invisible zipper closure, measures 17" x 17"